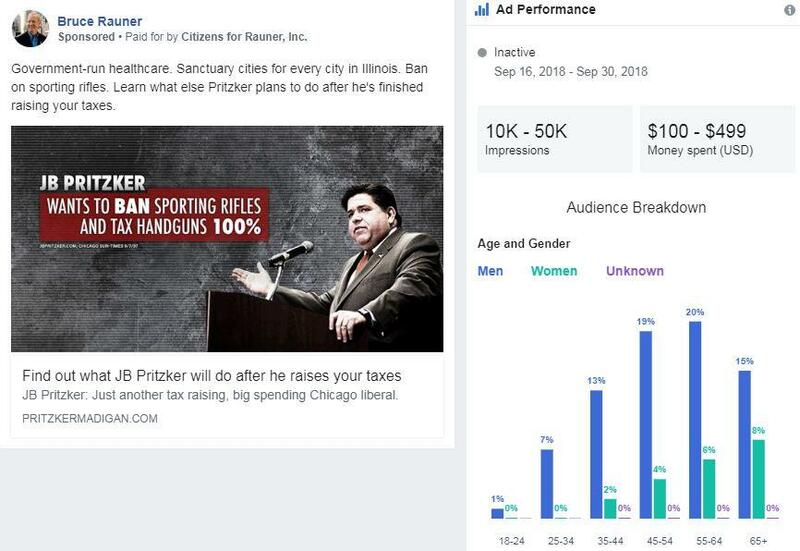 If you live in Illinois and visited Facebook or YouTube in the last year, chances are you've run into this JB Pritzker ad a few times. It was so pervasive that at one point Reddit threads started to pop up about it. Because social media was such an effective tool in the 2016 presidential race, it makes sense that subsequent campaigns would do whatever they could to take advantage of it. But social media and the people who use the different platforms changed a lot -- even in two years. Instagram, Snapchat, Hulu and Spotify (among others) have leaped into the mainstream. Facebook, however, is still the largest network. It boasts billions of users young and old. But all these platforms have new audiences of young people, many of whom are voting for the first time; they're are ripe for good old-fashioned advertising. The top two Illinois governor candidates are working overtime to win them over. It's a tough task for anyone, even for two billionaires over 50. The JB Pritzker campaign has devoted itself to the digital world. "Yeah, our staff is just under a dozen people," said Megan Clasen, digital director for the Pritzker campaign. "So for a digital team for a statewide campaign, I would say we're probably the largest in the country, I would think." Clasen's team creates videos for Facebook among other digital ads. She notes that people on different media platforms have distinct viewing habits they have to think about. For example: making Facebook videos with dialogue you can read without sound, or creating them in a square format tailored for mobile viewing. Around 75 percent of people on Facebook use the mobile version. After several attempts to contact them, a Rauner campaign spokesman said they do not comment on ad strategy, which is a strategy in itself. 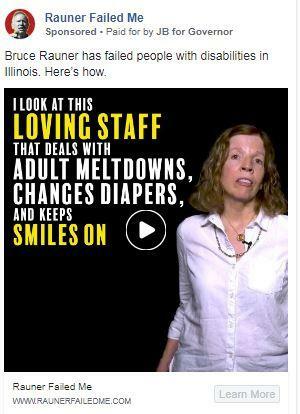 Most Rauner ads are in the standard rectangular format, similar to what you'd see on YouTube or TV. But there are some square-style ads, such as the notable toilet-themed anti-Pritzker ad. Another tactic you'll see are ads commenting on the very experience of social media. Any heated campaign involves negative ads. But this campaign is new and different on social. 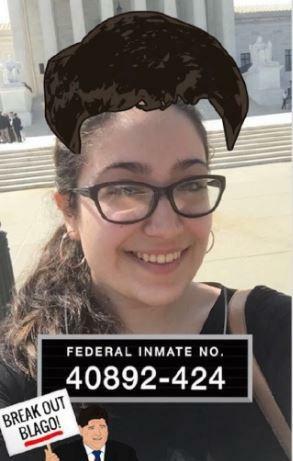 For Governor Rauner, that extends from video and social posts to a "Pritzker Ploy" Tumblr blog and even a controversial Snapchat filter depicting you in a mock-up mugshot of former Gov. Rod Blagojevich. The content of the negative ads usually focues on taxes and House Speaker Mike Madigan. Pritzker's campaign has a multi-platform strategy. They like to keep it more positive on Pritzker's page and move negative ads to a page called "Rauner Failed Me." Pritzker's digital director says, "It's interesting because a lot of content you're seeing a lot of time on Facebook generally tends to be more positive, so I think it's kind of jarring maybe to see a really negative clip from a person." You can see on Facebook that the ad was paid for by JB for Governor. They just don't want the negative ad sitting next to his face. These campaigns also have the infrastructure to respond to a negative ad with one of their own much faster than before. Gov. 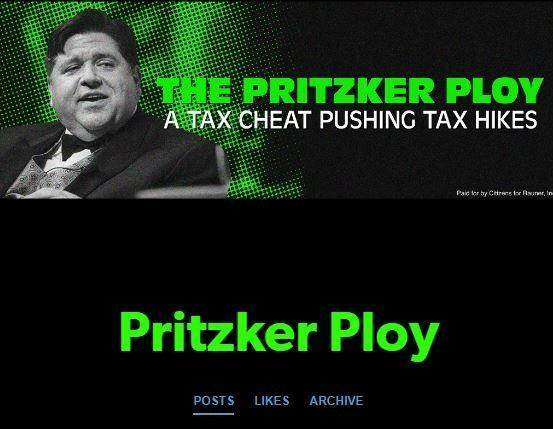 Rauner's campaign ran an ad this month claiming Pritzker wanted a vehicle mileage tax. Pritzker's camp countered with their own denial in an ad less than two days later. As election day draws closer and the race gets more heated, expect your timeline to be flush with ads -- no matter where you are online.